Teaching is one of the most rewarding career paths one can embark on. Teachers have the power to affect positive change and mold future leaders. The following steps will help you through your journey toward becoming a certificated teacher in the great state of Texas. First you should think about what kind of teacher you want to become. Do you have a passion for a content area, such as Science or Math? If so, you can consider becoming a high school or middle school teacher. If you prefer working on multiple fundamental skills with younger children, you can consider a career as an elementary school teacher. If you have a desire to work with children with special needs, you can consider getting certificated in special education. The choice is entirely yours and should be one that is made with great thought. The Texas Education Agency has information about school districts, teachers, and students in the state, which could help you make an informed decision. In order to become a certified teacher in Texas, you must at a minimum possess a Bachelor's Degree. You will also need to successfully complete an approved educator preparation program. Educator preparation programs are generally structured around the integration of college coursework and fieldwork. Curriculum for the college courses usually explore subject-based pedagogical theories, teaching methods, differentiated instructional strategies and assessments, classroom management, and integration of technology. Fieldwork is based on application. Depending on your institution, fieldwork is generally a combination of classroom observations and student teaching or interning. A student teaching experience requires that pre-service teachers work in real classrooms for a set amount of time under the supervision of a certificated teacher. During your time as a student teacher, you will work closely with a mentor teacher to prepare and implement lessons based on the needs of your diverse student population. Often times, your mentor and/or a university supervisor will conduct classroom visitations in order to provide you with feedback. Educator preparation programs are typically blended with Bachelor's Degree programs. In other words, one can complete an educator preparation program and Bachelor's Degree simultaneously. These joint programs are ideal for individuals who have decided from early on that they want to become a teacher. However, if you already have a Bachelor's Degree, you have the option to complete a post-baccalaureate or alternative teacher preparation program. A counselor or advisor at the institution of your choice can help make you aware of the available. Teacher preparation programs can be completed online or on a campus. It is important to note that the teacher preparation program must be approved and accredited. There are alternative, or non traditional, ways to become a certified teacher in Texas. Alternative Certification Programs (ACP) provide intensive classroom training to individuals who desire to switch careers into teaching. These programs can usually be completed in one year. During that one year, participants may be able to teach as a paid intern with supervision and mentoring. Other programs offer a non-paid student teaching experience in place of a paid internship. Alternative certification programs offer a nontraditional route to certification. These programs often allow candidates to teach while completing the requirements of the program. These programs can be located in universities, online, in school districts, education service centers, community colleges, or other private entities. 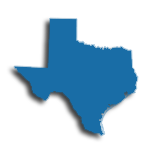 A list of approved program in Texas is made available by the regional education service center. For initial teacher certification in Texas, all candidates must pass the required exams. The Basic Skills Test requirement can fulfilled by taking the THEA (Texas Higher Education Assessment) exam. This exam is often required for entry into some educator preparation programs. The Subject Area Competence requirements can be fulfilled by taking the TExES (Texas Exam for Educator Standards) and the ExCET (Exam for Certification of Educators in Texas). The subject area competence test should be taken in the area you wish to teach. The PPR (Pedagogy and Professional Responsibilities) exam is a professional knowledge and responsibilities test. If you already have a Bachelor's Degree and are seeking entrance into an educator preparation program in Texas, you can take the Pre-Admission Content Tests (PACT). This test is applicable for admission into the following alternative certification programs: (1) university alternative certification programs, or (2) university post-baccalaureate programs (without content courses). At last, you will be prepared to affect positive change in the lives of students in Texas! Your classroom awaits you! The state Department of Education creates and maintains a database of available teaching jobs through the Texas Education Agency. Applicants may browse the listings by subject or by geographical region. The posting also links to individual school district web pages for more information. Currently Texas is experiencing teacher shortages in the areas of bilingual education, science, special education, math, and Spanish. Teachers with these qualifications may be given preference over other candidates. Once hired, teachers may join a professional association for networking, professional development, and collegial support. The state of Texas does not have a labor union for teachers. At the retirement stage, teachers may begin drawing funds from their mandatory pension. The pension is managed through the eTeacher Retirement System of Texas (TRS). Teachers receive this pension for life, though the actual amount may vary from person to person as each district has a different contribution amount. Many candidates prefer to work in the private sector. Texas is home to almost 2,000 private schools. Over 50% of the private schools have a religious affiliation, and some are gender segregated. Most private schools boast their small class sizes and safe learning communities. Small class sizes are often preferable as meeting the needs of all students becomes more feasible. The table below lists the number of public school teachers in Texas by grade level during the 2012-2013 school year. There are more than 1,370 private schools with an estimated 21,000 private school teachers in Texas. The table below details the number of teachers by grade level during the 2011-2012 school year. Politicians, community leaders, parents, and other stakeholders all share the responsibility to ensure that their children's teachers engage in high-quality and ongoing professional development. Teachers who undertake relevant and ongoing professional development have students with higher achievement levels. Additionally, teachers that improve their professional practice find it easier to achieve salary and career goals. Unlike the professional developments of years ago, today's opportunities are diverse and span offerings from online webinars, courses, and conventions to article research and curriculum development. Current offerings meet teachers' needs to understand how to support diverse populations in one classroom environment. The state Department of Education in Texas has a mandate to ensure all teachers meet the state standards for excellence by endorsing ongoing professional development. Texas teachers much renew their teaching license every five years. Part of this process includes earning a minimum number of Continuing Professional Development (CPE) hours through an approved CPE provider. The Department of Education makes available an approved list of CPE providers who are accredited by the Texas Education Agency. Teachers may download this list for their own records. While a master's degree isn't required for teaching in Texas, earning an advanced degree is a great way to enhance the skills you bring to the classroom, increase your marketability and your paycheck, and satisfy the CPE requirements for your five-year teaching certificate. Once you've earned a Standard Teaching Certificate through the Texas Education Agency, you'll need to maintain it by completing at least 150 CPE hours every five years. 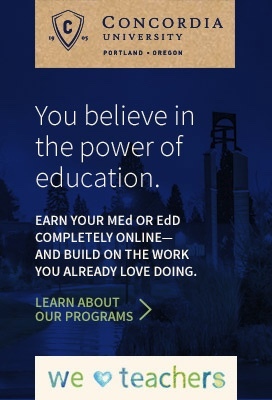 There are many ways you can earn CPE hours to meet this requirement, including attending workshops, conferences, and in-service and staff development activities; serving as a mentor to another teacher; developing, teaching, or presenting a CPE activity; or completing undergraduate or graduate courses through an accredited college or university. Learn more from the Texas Education Agency about the ways you can meet the 150-hour CPE requirement for certificate renewal. Earn your master's degree in the subject you're certified to teach, and you'll not only meet the 150-hour CPE requirement for one renewal period, you'll also meet the TEA's requirement of completing at least 80% of your CPE activities in your certificate area. Since one three-credit course (either undergraduate or graduate) equals 45 CPE hours, you'll satisfy the CPE requirements for renewal by completing just four courses toward your master's degree. But there's more-a master's degree is a great way to increase your earning potential as a Texas educator. According to the Texas Association of School Boards, nearly 80% of school districts in Texas pay higher salaries to teachers with master's degrees - usually as an annual stipend. Ninety-one percent pay more to teachers with any type of master's degree, while just 9% limit salary incentives to teachers with a master's degree in their assigned teaching field. As of 2016-17, the median stipend paid for a master's degree in any area of study is $1,000 per year, while the median stipend paid for a master's degree in an assigned teaching field is $1,500 per year.